Following what has now become our online fanbase’s traditional summertime meltdown about the volume/quality/timing/height/weight/aroma (delete as applicable, so just tick the lot) of our summer signings, it was nice to finally get all of the crap out of the way and actually play some football. Fortunately, the summer furore seemed to have been a little unnecessary and we were able to put out a full team, and even have some left over to sit on the bench. A beautiful sunny day, a good turnout (601 from us) an ok atmosphere and great company. I alway love the first day of the season – there’s a point, right up to kickoff, and perhaps for ten or fifteen minutes after it, where anything is possible. While you know that there are aways better prepared teams, better financed teams and just better teams, before a ball has been kicked, there’s always the possibility that ‘this could be our season.’ Within ten minutes of the first ball being kicked, the majority of the country have settled back into the familiar realisation that this is absolutely not going to be their season, but up to that point, we can all pretend otherwise. So what to say about us. At times we looked very strong – the first 20 minutes looked like men against boys, though we actually created little of note. 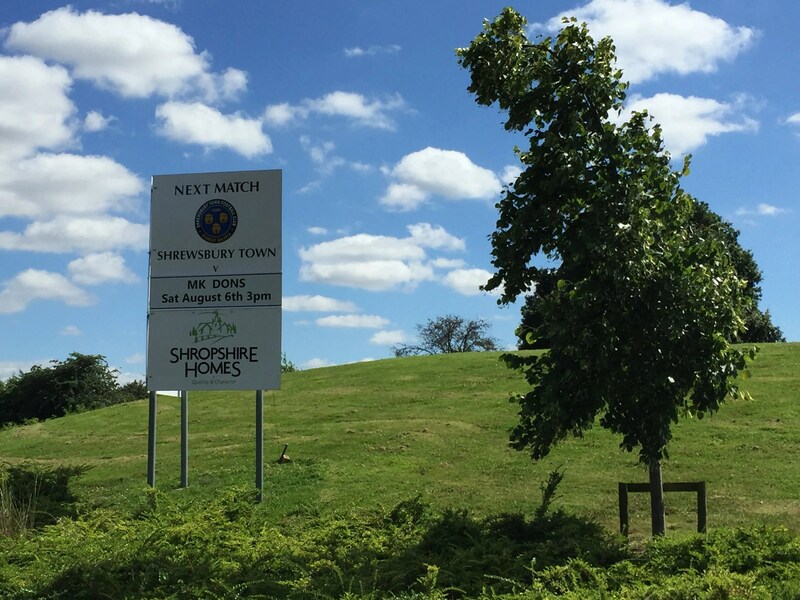 Shrewsbury came into the match more as it went on, but were defending very deeply, which made it difficult for them to create much. 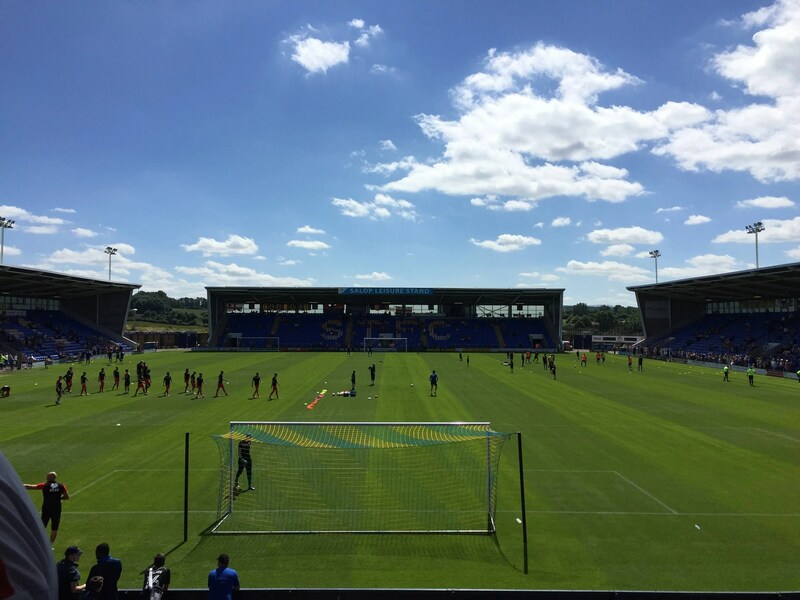 They did create more as the match went on, and on another day may have grabbed a goal, but I can see Shrewsbury struggling this season. Once the goal came, and we knew that it would, it was all over, and both the home team and fans knew it. Our current starting lineup is looking OK. A bit early to say too much more, but I’d say that with a few additions we’d be looking very strong. Personal highlights would be Ed Upson’s set pieces and the consistent threat of Daniel Powell – great goal too. Honourable mentions to George Baldock and Joe Walsh too. Strength in depth is the concern if we’re looking to push at the top end of the table, as we simply don’t have it right now. Hoping that Samir’s injury isn’t too serious. 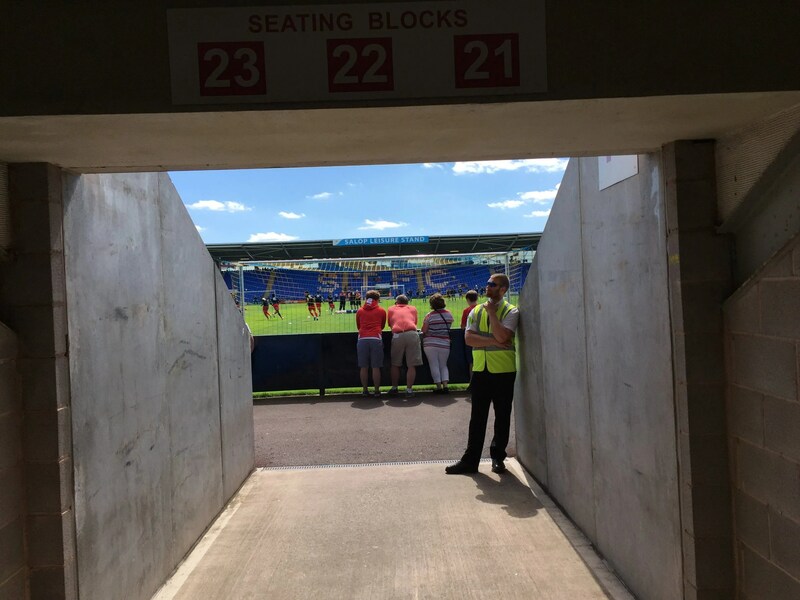 Nice stadium, friendly stewards, fans who made a bit of an effort for most of the game, cheap grub and drinks, good pub beforehand, good chatting to Shrews – generally a great day out. Previous PostSo Long and Thanks For All The Fish – For Now at LeastNext PostMaking Your Mind Up – What Do You Really Want?